Gold is seen as an inflationary hedge and its value moves inversely to the value of the dollar. The growing uncertainties in the global economy and the rising middle class of India and China are propelling up the price of the gold. When buying gold an investor must clearly define the reasons to buy gold. People look at gold for purely investment purposes, jewellery or as an inflationary hedge. 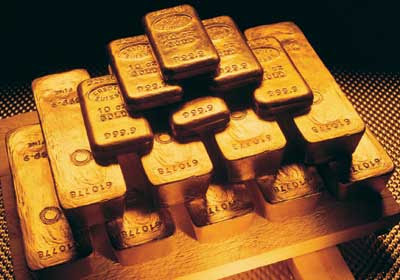 There are some interesting articles available online at www.personalfn.com who are looking to buy gold in India. Buying Gold from your bank?Beware! 1)Banks in India are selling gold to us but they are charging a high premium. 2)Gold becomes attractive to your portfolio depending on the currency of your portfolio. For example Gold has seen good appreciation against the dollar in the last couple of years. But if you had invested using the Indian rupee, your returns will be very marginal. 3)Investing in Gold ETFS is not cheap in India as it involves expenses and entry loads. Hence before buying gold in India, one must evaluate the premium being paid over the spot price of gold at any given date. Gold is at an all time high and a big correction in the gold prices has a potential to wipe out considerable gains from your portfolio. Watch out when you buy Gold in India! with thanks ! extremely helpful put up!